But in the end it was the river that won out, as it so often does, and the prospect of some gipsy barbel or, if I was lucky, some carp. As I pulled off a dirt track into the rough path leading to the river I saw the tail of a fox vanishing into some scrub and later I saw a fox, perhaps the same one, stalking the river bank. It eyed me up briefly and then vanished before I could get my camera out. Foxes are very common in certain areas. My father in law can´t keep them out of his garden in Sutton. These are part of a huge fox population on the London suburbs. But in this neck of the woods foxes are not seen very often, or at least not by me, and I took the sight of one to be a hopeful sign that this would be a good morning. And so it proved to be. 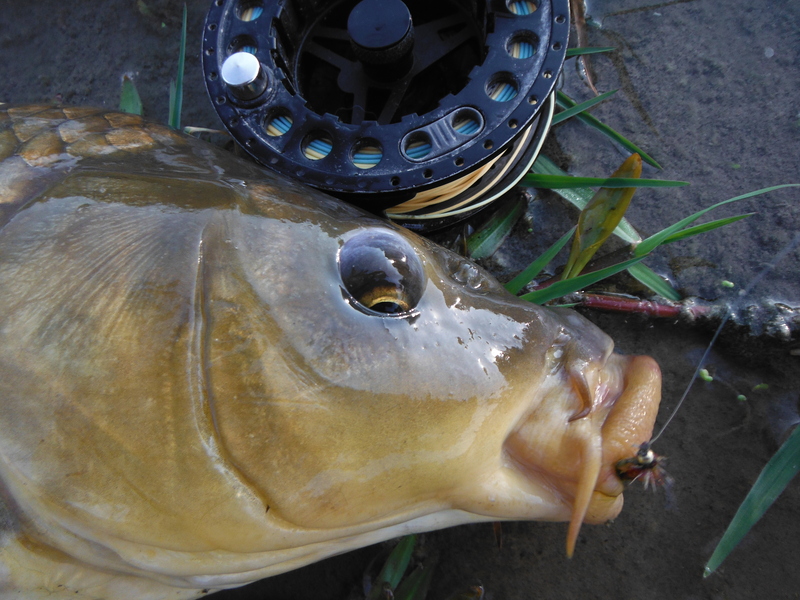 I had been hoping for a carp on the fly and managed to land three, one of which was pretty good for this part of the river and was taken within 10 meters or so of a nice fish I caught almost exactly a year earlier. 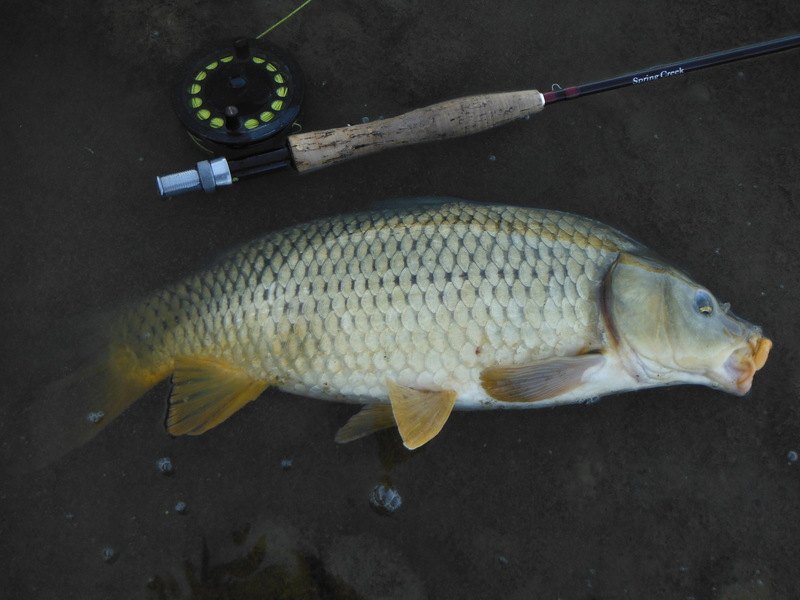 This carp was busy feeding in the gentle current at the head of a pool. I tightened when I judged that the nymph should be around the fish´s mouth and everything went solid. 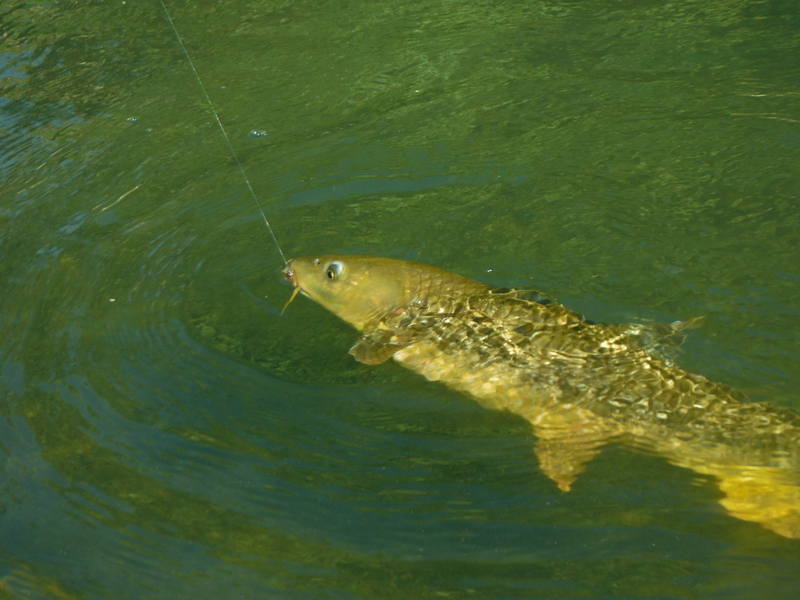 It is quite easy to foul hook fish in these conditions because the nymph is small and the water carries just enough colour to obscure it. 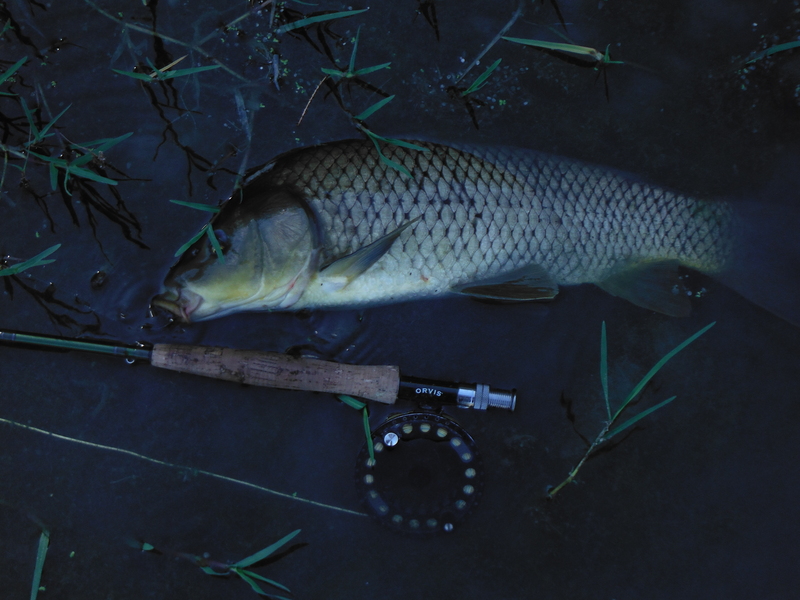 A carp in shallow water on a four weight rod provides plenty of excitement and I was relieved to see on beaching it that it had taken the nymph properly. It was a very pretty and a very solid fish. I don´t know how much it weighed but I don´t think it was less than about four pounds. I walked a fair length of the river bank. 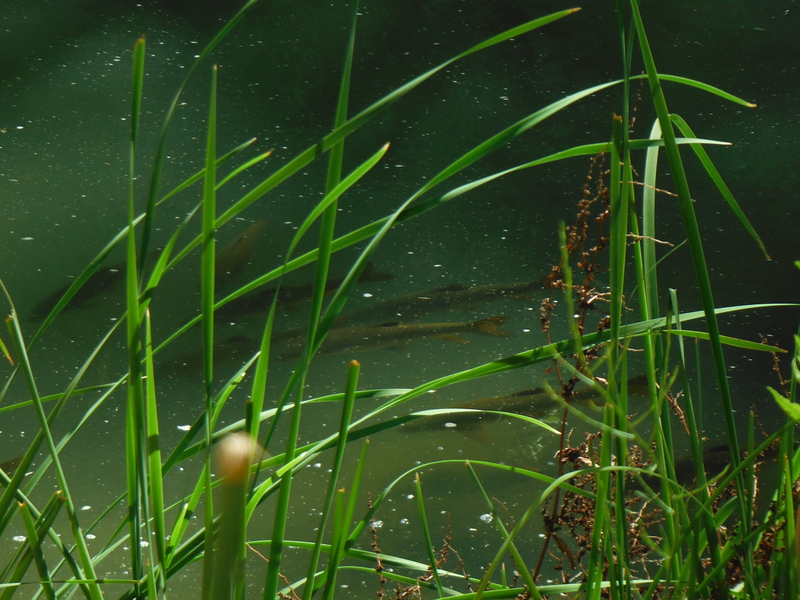 In the thin river of the summer the fish don´t wander very far from deeper pools and it is possible to walk fair stretches without seeing anything much. 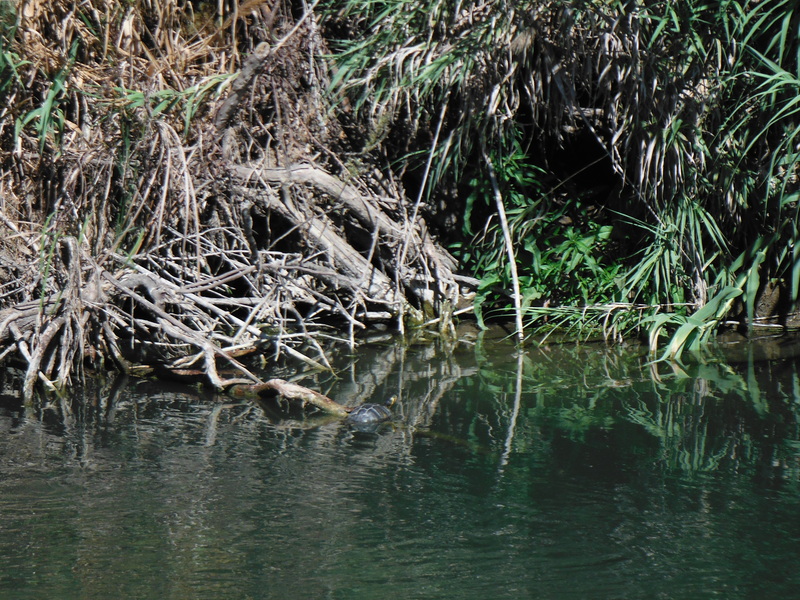 If I want to confirm that a shallow stretch is not holding fish I tend to walk noisily to see if any fish give themselves away by the characteristic bow wave as they flee. Of course the upshot of this uneven distribution of fish is that if you find good holding water there are plenty of fish available. Whether they are going to play ball, of course, is another question. Just before leaving at around 12.30 I came across just such a pool. The fish were cruising close to the surface and my bead head nymph was just a little too fast sinking for them so I swapped for a biggish nymph without a bead and that seemed to do the trick. This really is a beautiful spot. I left a bunch of fish which were lined up in the shallows facing into the current. They were there for the taking but I needed to head back to base and simply wished them well. I´m sure our paths will cross soon enough! 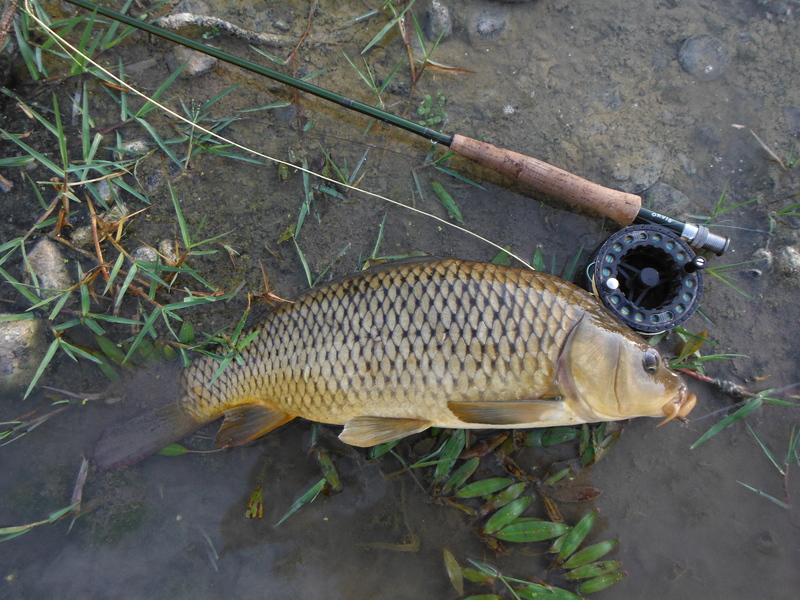 This is the carp I caught last summer. Almost exactly a year later, in the same place I caught this one. It was a relief to see that the nymph was taken “properly”. It doesn´t always happen! 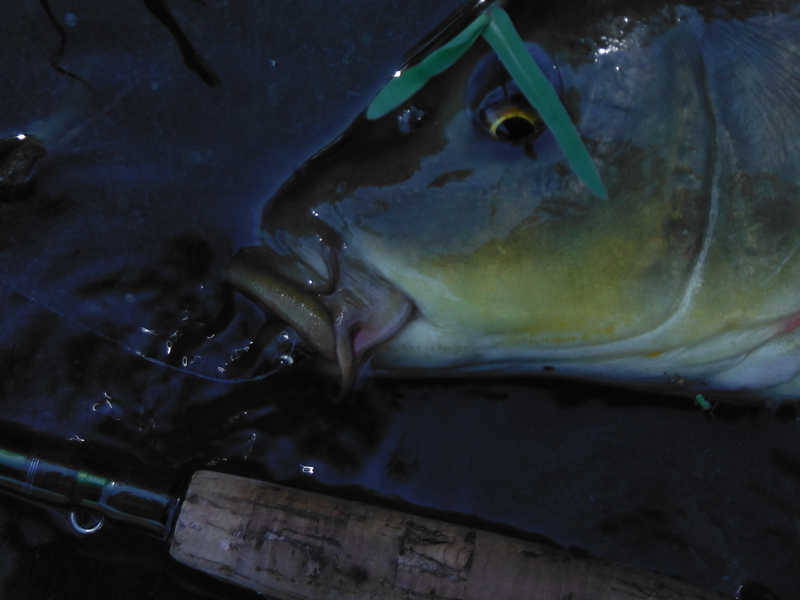 This carp, like the first, was actively feeding in shallow water with a reasonable current. Another sucker for that little nymph! This is a beautiful stretch. 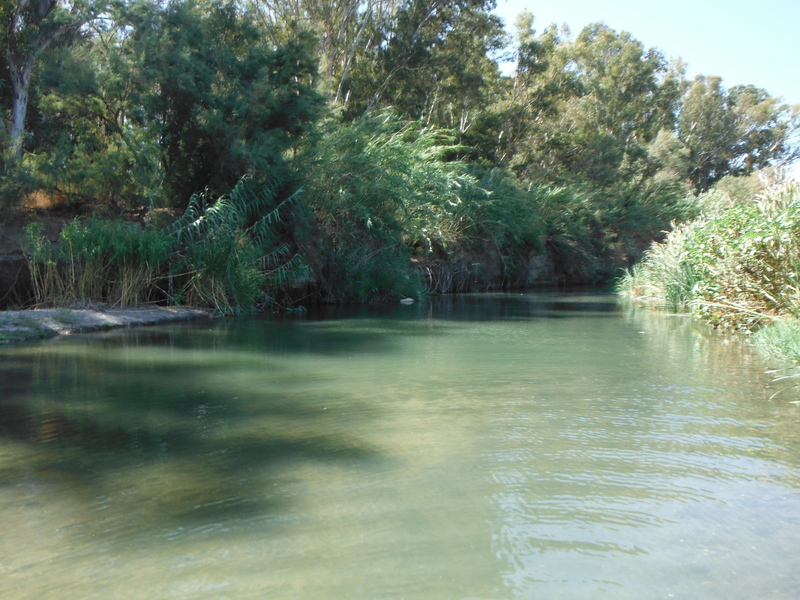 The deeper water here is sought out by the fish as the river level falls in the summer. I fooled this one with an unweighted nymph. 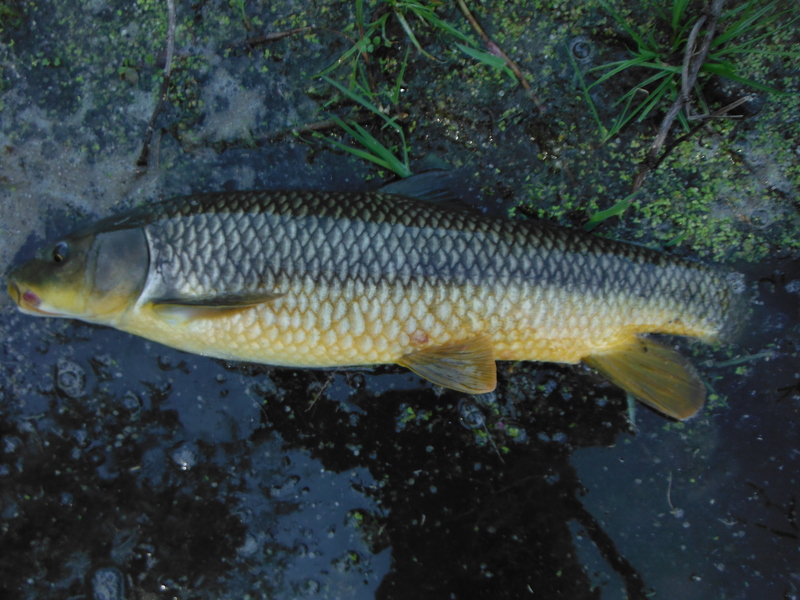 This is a pretty typical gipsy barbel from this river. It weighs around two pounds.